Tell us a little about yourself: what is your first name, how old are you, and what is your favorite flavor of ice cream? Valeria, 11, and mint chocolate chip. What book did you read and why did you choose it? The Tale of Despereaux by Kate DiCamillo. I chose this book because it looked very interesting and I read the back of the book and it sounded interesting. Can you describe this book in one word? Heroic. What was your favorite part of this story? When I found out that the evil master was the mom to the princess. If you had a problem similar to the main character's problem, what would you do? I guess do the same thing, but with friends and helpful allies. What would you say to your best friend to convince them to read this book? I would tell her that the book has an amazing plot and a great story line. What do you think about the book's cover? I think the cover of this book is really captivating and persuasive. YES, because I liked how it ended, but I’d really like to see a continuation of this book. Also, because there’s a movie about it and I LOVED the movie. Can you name another book that reminds you of this one? The Wizard of Once. If you could ask the author one question about this book what would it be? What made you want to do this with Timothy B. Ering? Thank you, Valeria! I love this book, too! 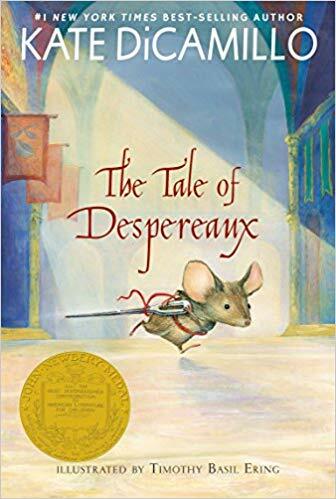 You can read more about The Tale of Despereaux here. When Viji and her sister Rukku run away from their abusive home, their situation is dire. The streets of Chennai are dangerous and cruel, especially as Viji must be extra vigilant due to Rukku's developmental disability. But bolstered by small acts of kindness from Teashop Aunty, the girls find a home on an abandoned bridge and make new friends with two boys named Muthi and Arul. With their street dog companion Kutti, the four friends learn to survive by scavenging and sharing their resources. When the rainy season starts, the children must decide whether to seek help or fight for their hard-won independence. The Bridge Home will break your heart and help it to mend. Venkatraman's lean storytelling is filled with raw emotion and it puts the reader directly into the lives of vulnerable children. The empathy on every page and the warmth of Viji and Rukku's found family provide a warm glow. This story provides young readers with a framework for thinking about many difficult topics including abuse, homelessness, child labor, and grief. But each is handled with such humanity and care that every reader will come away with strength and hope. We are excited to crack the code. Codes can carry big secrets! Throughout history, lots of good guys and lots of bad guys have used codes to keep their messages under wraps. 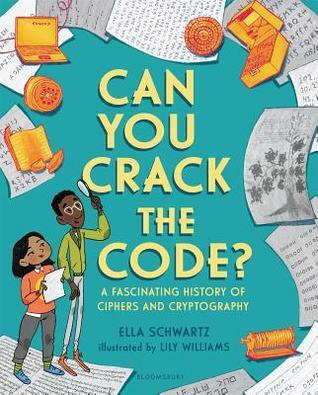 This fun and flippable nonfiction features stories of hidden treasures, war-time maneuverings, and contemporary hacking as well as explaining the mechanics behind the codes in accessible and kid friendly forms. Sidebars call out activities that invite the reader to try their own hand at cracking and crafting their own secret messages. This is the launch of an exciting new series that invites readers into a STEM topic through compelling historical anecdotes, scientific backup, and DIY projects. Your Kidliterati friends are so happy for you. The night of the sixth-grade dance is supposed to be perfect for Maddie: she'll wear her perfect new dress, hit the dance floor with her friends, and her crush, Avery, will ask her to dance. But as the first slow song starts to play, her plans crumble. Avery asks someone else to dance instead--and then the power goes out. Huddled in the gym, Maddie and her friends are stunned to hear that a tornado has ripped through the other side of town, destroying both Maddie's and Avery's homes. Kind neighbors open up their home to Maddie's and Avery's families, which both excites and horrifies Maddie. Sharing the same house . . . with Avery? For the entire summer? While it buys her some time to prove that Avery made the wrong choice at the dance, it also means he'll be there to witness her morning breath and her annoying little brother. At the dance, all she wanted was to be more grown-up. Now that she has no choice, is she really ready for it? I loved the premise of this book, and it didn't disappoint. While it begins with the tragedy of of Maddie losing her home to a tornado, it's mostly the sweet story of a girl growing up, navigating changing friendships, and dealing with a crush. Set in Massachusetts, where tornadoes are a rarity, it's the details that make this book so wonderful. I especially loved Maddie's relationship with her younger brother -- while he's exasperating at times, she's protective of him. The details worked into the changing friendship dynamics between Maddie, her best friend, and the new girl in town are also so very realistic, and call to mind all those feelings of being left out and jealousy that happen at twelve years old. Maddie also has to deal with loss of her dog, who can't be found after the tornado. Her feelings about this are also spot-on. This is a little thing, but as a kid whose mom worked and as mom who works, I really appreciated a book where the main character and her friends spend the summer at various camps, rather than hanging out at home or around the neighborhood. A really great read altogether! Tell us a little about yourself: what is your first name, how old are you, and what is your favorite flavor of ice cream? My first name is Abraham, I’m 10, and my favorite flavor is vanilla. 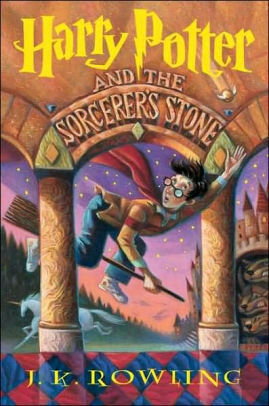 I chose Harry Potter and The Sorcerer's Stone, and I chose it because it was interesting and the way Mrs. Thayer (my 5th grade teacher) read it made it better. What was your favorite part of this story? The chess match. If you had a problem similar to the main character's problem, what would you do? I would make sacrifices even if it hurt me. What do you think about the book's cover? I think it shows a little idea of what will happen. I would because I would like to see more powerful friendships. Can you name another book that reminds you of this one? Hatchet by Gary Paulsen, because Harry tried his best to defeat Voldemort, and Brian tried his best to get out of the woods. If you could ask the author one question about this book what would it be? How did you get this idea of Harry Potter? Thank you, Abraham! It's so cool that your teacher, Mrs. Thayer, reads to your class! She sounds like an awesome teacher! 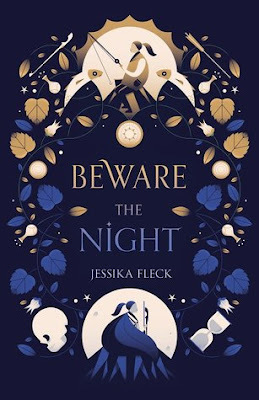 Everyone must Beware the Night. Your Kidliterati friends are so happy for you, Jessika. The way of the world has never changed. Before a prince can become king, he must slay a dragon and rescue the damsel who will become his bride. Prince Emory is like his father and his father's father before him. Ama awakes in Emory's arms with no memory of her rescue. It is now her fate to be the queen of Harding and the wife of Emory after his coronation. As she adjusts to life in the castle, Ama begins to suspect that there is much more to the tales of kings and dragons than she has been told. Arnold's Damsel is a remarkable story. It takes the reader directly to the fiery heart of the issues while framing them as a dark, ancient fairy tale. This story is quite raw. It will not be for every young reader. But for the young women who are trying to make space in the world for themselves, I hope this book helps them find their power.